This is my version of the entwined hearts. 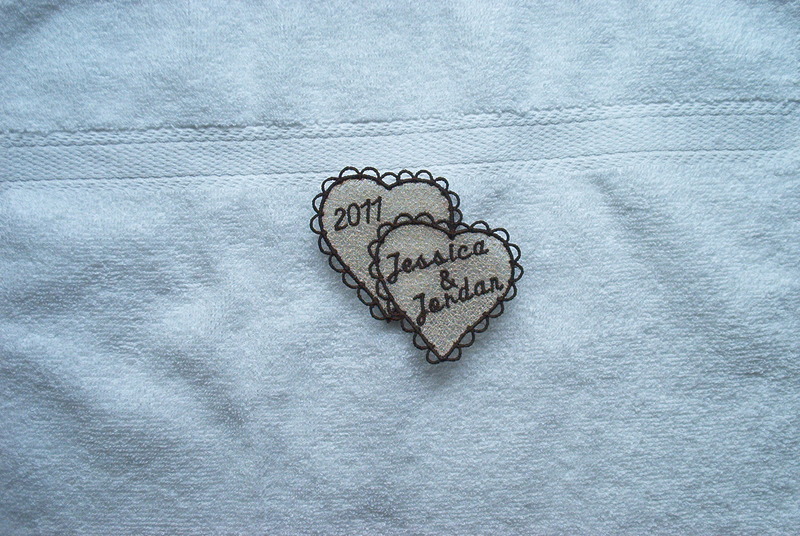 This was done for a young couple, Jessica and Jordan who are getting married in March 2011. The design sews out beautifully. It's done in their wedding colors of ivory and brown. Very pretty and well done! Good job, I'll post mine as soon as they are pressed! Thanks. They are free here at DBC. Thanks so much. It was a pleasure to make. Thank you. I tried to put the whole wedding date on but it looked too crowded. yours turned out great to!!! It was fun to do. I love yours too. How pretty and dainty. Love it, great job.